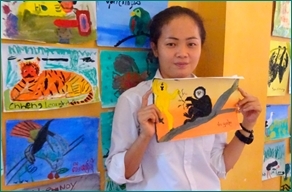 Students learned about the wildlife of Cambodia and created their own wildlife paintings inspired by the unique mammals, birds, reptiles and fish of Cambodia. 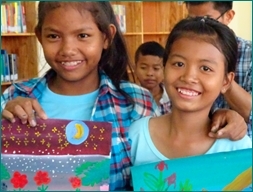 Students participated in Art in a Box's Environmental Art Painting Classes and created art about the wildlife of Cambodia. 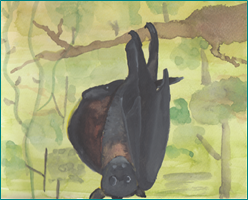 Students created original paintings for The Illustrated Guide to Wildlife of Cambodia, the first book of its kind to be illustrated, researched, writtenand translated entirely by Cambodian middle-school children. The book includes over 130 original watercolor paintings of Cambodian mammals, birds, reptiles, amphibians, fish, and ecosystems. 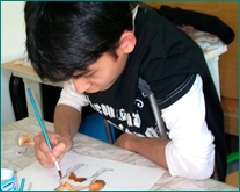 Children in village schools in areas where the Wildlife Conservation Society is conducting programs, created art about the mammals, birds and reptiles that live in their communities. 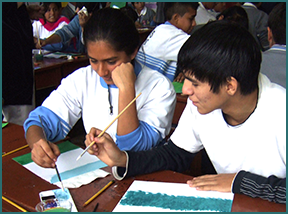 Students at the San Agustin School and Túpac Amaru Schools in Comas, Lima and the Humberto Luna School in Cusco created paintings about the wildlife of Peru in Art in a Box’s Environmental Art Classes. Paintings by three students were selected for the Banner Project, which were printed and presented to the schools. 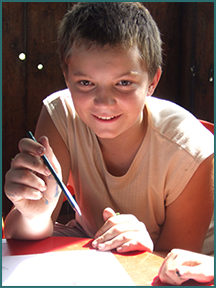 “Each child who arrives here is really the whole world expressed in colors.” Children created paintings about the animals of Uzbekistan. Children living near the Xianghai Nature Reserve, a wetland reserve that is home to endangered species of cranes, created paintings about the life cycle of migrating cranes and completed a 6 meter long mural project that will be on permanent display at the Xianghai Nature Reserve Museum. 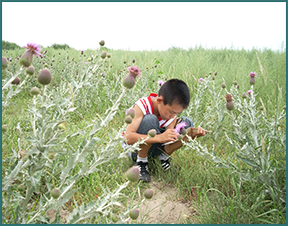 Children in Keerqin, Inner Mongolia created drawings of indigenous Mongolian plants directly from nature for a children’s field guide to Keerqin. Art in a Box conducted environmental art classes for children at Muraviovka Nature Park, a wetland nature reserve in northeastern Russia. Students at three public schools in Bergen County, New Jersey created paintings about the local wildlife. 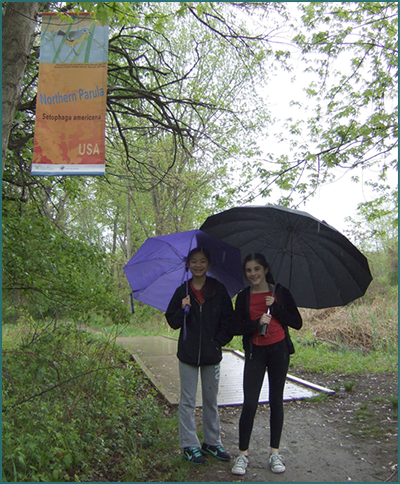 Art in a Box produced large scale banners featuring student paintings for an Earth Day exhibition on the grounds of the Teaneck Creek Conservancy. 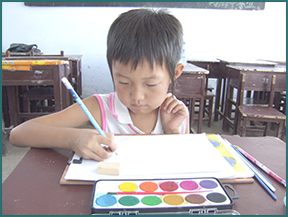 We also produced postcards of student wildlife paintings for art kits that were sent to children in Japan who were affected by the 2011 tsunami and nuclear power plant disaster.